This species takes its name from its extremely flared, serrated and projecting rear marginal scutes. The carapace is mainly black/brown with yellow or orange markings which darken with age. 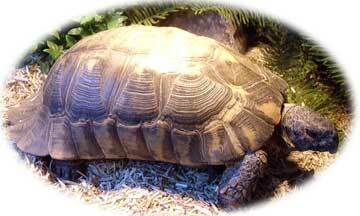 The plastron is much lighter, being olive/yellow with large brown or black triangular markings on the larger scutes. The males are longer in shape with more pronounced flaring of the carapace than the females who are broader in girth. Marginata are also one of the largest species of the Testudo genus.